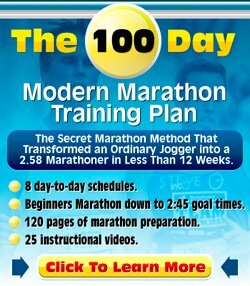 Training to Run Longer Races Than My 5K's - How to Prepare? I started my running journey over a year ago. This past June my wife and I ran our first 5K we have run 6 of them now and really enjoy them. However I am thinking that it may be too fast a race for me. So I have my sights set on 10K's and a half marathon. On my long runs I am covering 6 to 8 miles with relative ease now. I am 45 years old and had never run a distance race in my entire life until last June. My 5K PR is 26.51 and I was really excited about that as I had targeted between 28 and 30 for it. My wife and I have another four 5K's between now and the end of December and then I want to concetrate on training for 10K's and a half marathon. I love running in the cold which is good because I live in up state NY. I have found that I run really well and strong the colder it is. I don't know if that is normal or I just love the cold period so I love running in it. Who knows? But my training for this new goal would start in December/ January. All of your answers to my previous questions have helped me immensely so any advice you can share would be great. I did experience an injury to my ankle that side lined me for a little over a month. However I raced last weekend and it felt strong. My time was off a bit but I looked at it as getting back on the horse. Thank you. Thanks for your question about running races longer than 5k. I have to agree with you. The shorter the race, the more brutal it is. Well, probably up to a certain point, when you go marathon or ultra you'll face another world of brutality all together! But the short / middle-distance races (2 miles - 5k) require not only stamina, but also speed and they are just really tough to run well. For me, the 10k and half marathon are in the "sweet spot". As you get older your preference does change to longer races, so I think you'll find that you'll enjoy these more. Keep up the long runs and the easy runs. They should be your absolute base. When comfortable with the distance covered in your long runs, then build it up slowly. For a comfortable 10k you want to be able to cover 6-8 miles in your long runs regularly. For a comfortable half marathon you need your long run to be longer. Ideally you'd cover 12-15 miles in training regularly. You'd also want your easy runs to become longer. A good measuring stick is that you will no longer want to get out of the door for "just" a 30-40 minute run, when you run it is usually longer than that. When you get to that kind of level, you should pretty much be ready to do a half marathon. Interval running is less important for the longer distance races, although still beneficial. For your first 10k and half marathon races I wouldn't bother too much with interval running. However, tempo running is very important. It's depending on your ability, at about 10k race pace and is a good way to get used to a "comfortably hard" speed. So, in summary, focus on increasing distance first and combine that with "moderate" speedwork (i.e. tempos) and you should be able to do some successful 10k and half marathon races next year. Few last remarks: you have been doing lots of 5ks. That's absolutely fine. You can do lots of half marathons and 10k races as well. However, if you really want to break a goal time, then a bit more focus on one key race is more advisable. You can then really target your training to get to optimal fitness at race day. A good running training book to consider is Daniels' Running Formula, which can help you set up a targeted running training program for any distance. Join in and write your own page! It's easy to do. How? Simply click here to return to 5k Running Questions.